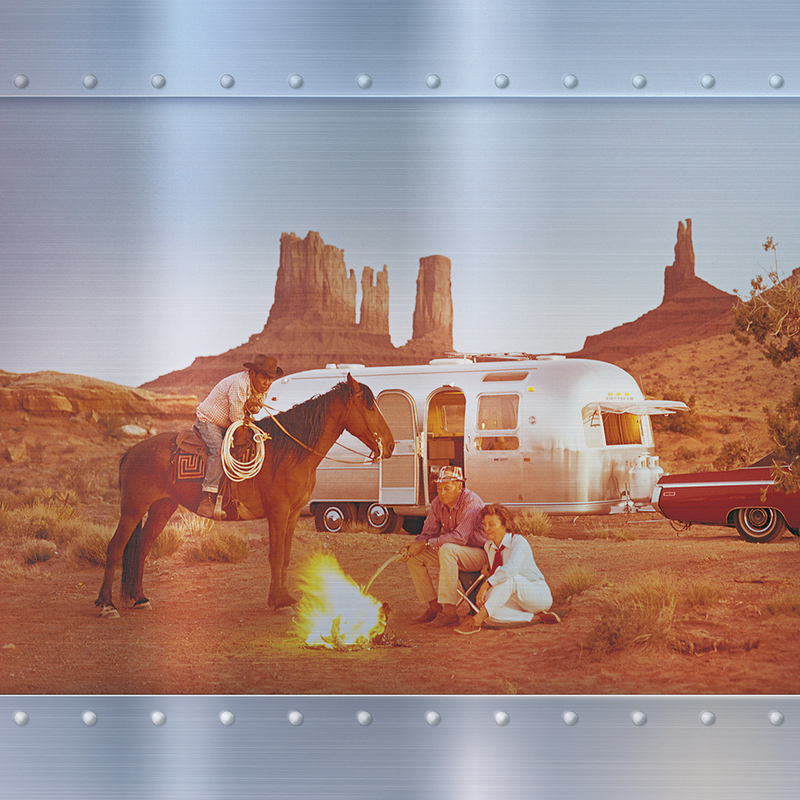 Airstream RVs have inspired generations of travelers. These legendary recreation vehicles have inspired generations of travelers. 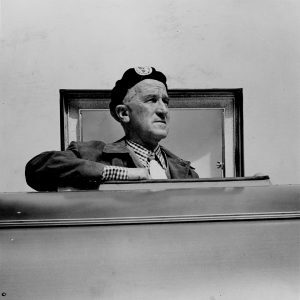 It’s quite fitting that Wally Byam, the man responsible for creating an American icon, happened to have a Fourth of July birthday. 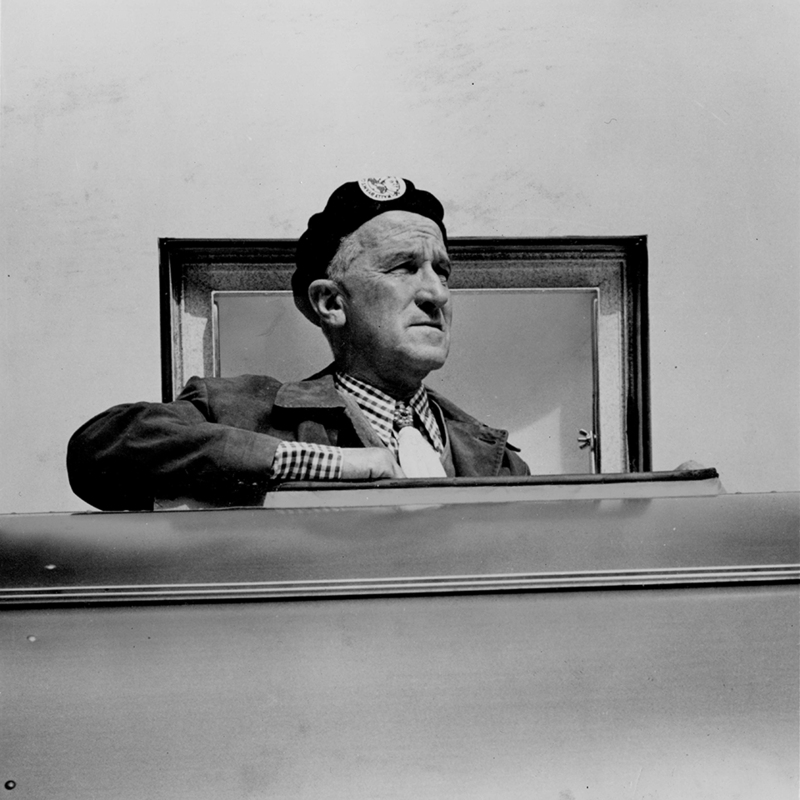 Wallace “Wally” Byam, founder of Airstream, was born in 1896 in Baker City, Oregon. His early years seemed to steer him along a path that ultimately led to the creation of an enduring RV brand. 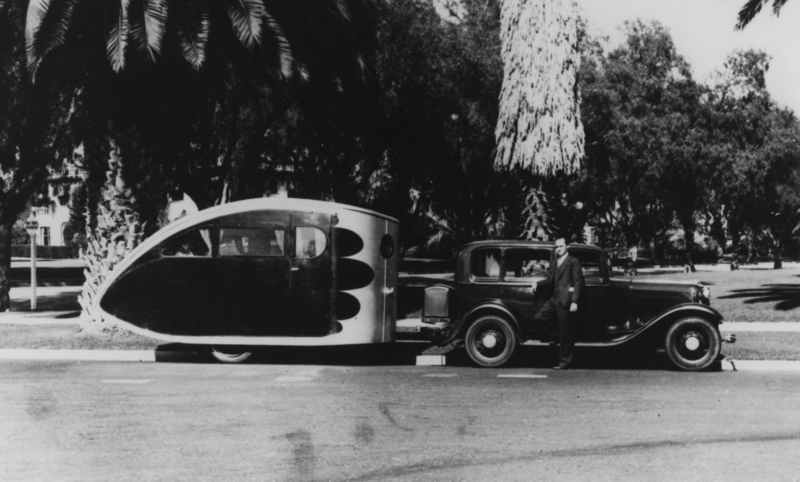 Wally Byam’s dream of a travel trailer that would move like a stream of air and be light enough to tow behind a car took shape in 1931. As a teenager, Wally worked for his family as a shepherd and slept in a two-wheeled cart outfitted with food, water, a kerosene cook stove, a wash pail, and a sleeping bag. Wally graduated from Stanford University in 1921 with a bachelor of arts in history. He also did a stint in the U.S. Merchant Marine. He and his first wife, Marion James, owned an advertising agency and publishing company in Southern California. factory in Culver City, California, in 1931. His first factory-produced creation was the Torpedo Car Cruiser, which was made of plywood. The first of the riveted aluminum travel trailers, the Airstream Clipper, made its debut in 1936. The Torpedo Car Cruiser was the first factory-produced Airstream model, and by early 1932 more than a thousand of them were on the road. Airstream survived the Great Depression, even though many of its competitors didn’t, and the trailer business continued to boom until the approach of World War II. The U.S. government declared aluminum a critical war material, and also decreed that any trailer building must focus on creating temporary housing for defense workers. Wally closed his doors for a time, and he and his employees joined the war effort and went to work building planes. 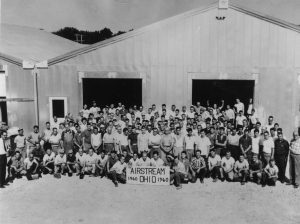 The construction techniques he learned in the aircraft manufacturing industry served him well when he resumed trailer-building operations after the war. At first, he convinced Curtis Wright Industries — where he had worked as a certified manufacturing engineer and production supervisor — to allow him to use their now-idle factory to build a line of travel trailers called the Curtis Wright Clipper. They were similar to the Airstream Clipper but benefitted from the manufacturing knowledge he had gained. In 1947, Wally left Curtis Wright and opened his own facility, where he manufactured the Airstream Liner. In 1954, Wally Byam convinced Mark Bowen of Bowen Water Heater Co. to develop the first hot water system ever in a travel trailer. The 1958 Airstream International was developed as the first-ever “self-contained” travel trailer — one with full freedom from external hookups, such as outside sources of power. 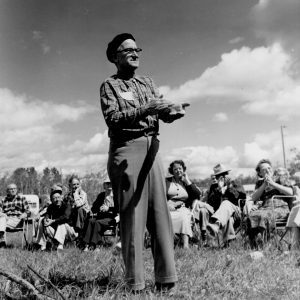 Wally Byam addresses an Airstream caravan group. The famous expeditions took Airstreamers all around the world. In 1948, Wally embarked on an adventure that would plant the seed for the Airstream caravans that followed and helped to secure Airstream’s place as a worldwide cultural icon. That year, he and his good friend Cornelius “Neil” Vanderbilt Jr. went to Europe to tour the war-torn land. Wally had met Neil during his publishing days. Neil planned to film postwar Europe for lecture tours, and Wally saw an opportunity to test the Airstream travel trailer, looking for weaknesses and seeking areas for improvement. That set the stage for the first of the famous Airstream caravans. In 1951, Wally decided to travel with a group of friends from Texas to Nicaragua. After a magazine ran a story about the venture, Wally invited others to join them via a notice in the Los Angeles Times; 63 showed up. Bad roads, bad weather, and equipment failures prompted many of them to leave early. Only 14 finished the trip, and even Wally vowed that he’d never do this again. That declaration lasted only about a year, and he was off on his next adventure. Caravans took Airstreamers to places such as Mexico, Central America, Canada, Europe, Asia, and Africa. They served as an inspiration to travelers then and continue to fuel the imaginations of adventurers to this day. Perhaps the most notable caravan was the journey Wally led from Cape Town, South Africa, to Cairo, Egypt, in 1959-1960. Sadly, this was Wally’s last caravan. He died on July 22, 1962, after battling brain cancer. Wally Byam Caravan Club International continues the tradition of traveling with other Airstream owners to this day. The club was founded in 1955 during a caravan in eastern Canada. 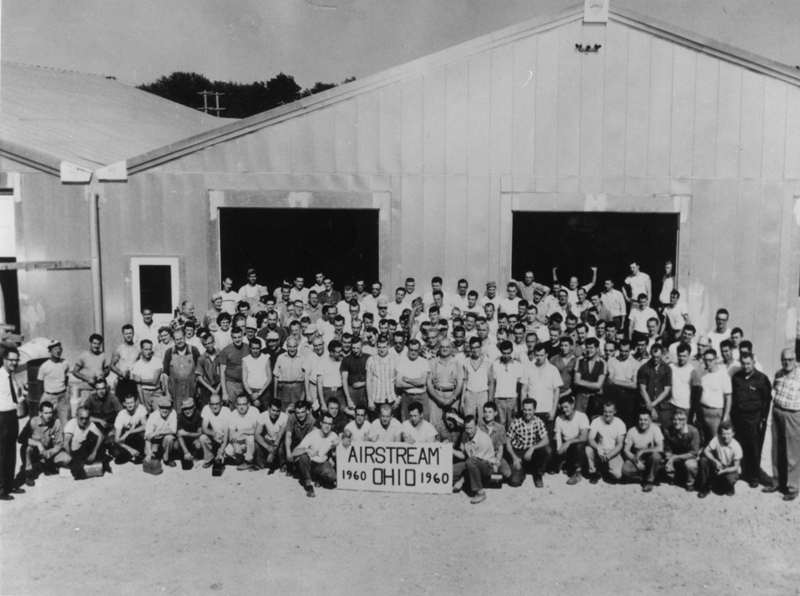 Airstream employees gather for a photo at the Jackson Center, Ohio, facility in 1960. When Airstream outgrew its Los Angeles plant and needed to expand, Wally Byam headed east to scout out potential locations in the Midwest. In 1952, he spent a summer searching in Indiana, Illinois, and Ohio and eventually located a factory for sale in Jackson Center, Ohio. That served as a second location for the company until 1978 when the California operation closed and all manufacturing was consolidated in Ohio, where it remains today. In 1969, the Airstream travel trailer underwent its first major redesign in more than 30 years, resulting in an increasingly streamlined exterior, with rounder edges, further enhancing the distinctive “silver bullet” Airstream design. Four inches of width were added, as well as a foot of length. The interior was given a makeover as well, bringing about a more luxurious and comfortable living space. Almost 30 years later, in 1994, an additional redesign occurred. Approximately 5.5 inches were added to the width, and a total interior revamp was implemented, along with changes to the profile, structure, and shape. This led to a bigger, more comfortable travel trailer, while still maintaining the classic design. Big changes came for the company along the way as well. Leadership uncertainties that resulted after Wally Byam’s passing ended in 1980 when Wade Thompson and Peter Orthwein, owners of Hi-Lo Trailers, acquired Airstream, forming a new company, Thor Industries. That association continues today. 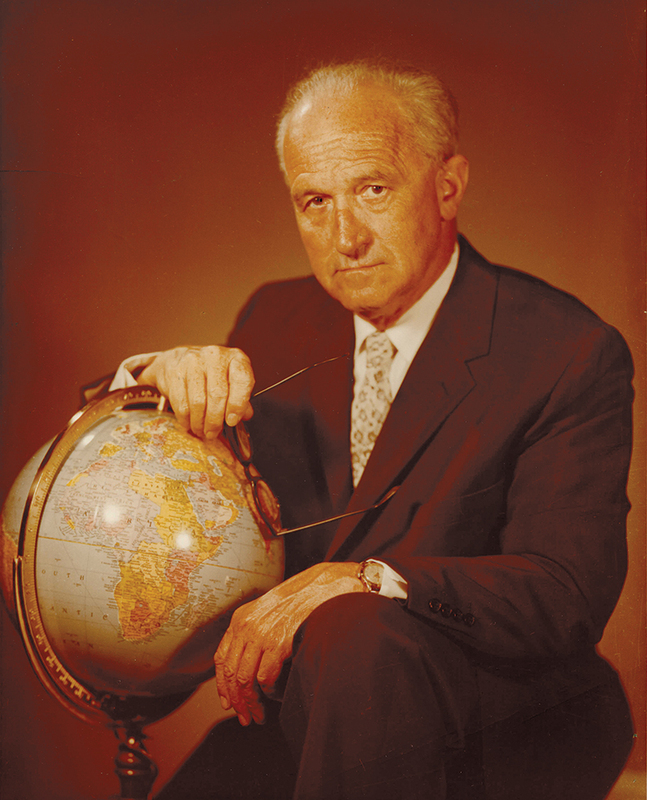 Although Wally Byam had contemplated adding a motorhome to the company’s lineup, that didn’t happen until 1974 when the leadership at the time decided to diversify. The Argosy motorhome made its debut. It was a painted model and used a different type of aluminum than the traditional Airstream travel trailers. Production ceased in 1979, but this led to other motorized Airstream models, including the Land Yacht, and the Airstream touring coaches of today. Through the years, Airstream has been more than a vehicle used for recreational travel. NASA employed a modified Airstream travel trailer in 1969 when the crew of Apollo 11 returned to Earth. Out of concern that they might have brought back lunar pathogens, the space travelers spent time in an airtight Airstream designated as a Mobile Quarantine Facility. In 1984, NASA began transporting shuttle crew members to the launch pad in a converted 1983 Airstream Excella motorhome. The NASA transport vehicle, known as the Astrovan, averaged 1,000 miles per year shuttling crew members at Florida’s Kennedy Space Station before the program was discontinued in 2011. The United States Air Force has used modified Airstream travel trailers as command centers and as meeting places for U.S. officials. Airstream has a Hollywood connection as well. Oscar-winning actor Matthew McConaughey owns an Airstream or two and even lived in one in a Malibu RV park for a time. TV actor Mark Harmon uses one as a dressing room on the set of the show “NCIS.” Actor Tom Hanks has owned several. County music star Miranda Lambert owns a 1952 model — “Wanda the Wanderer” — which serves as a hangout space during the award-winning singer’s concert tours. And the list goes on. All of this has led to Airstream becoming much more than a travel trailer. It has been described as a movement; a culture shared by many; and, perhaps most fitting, as a lifetime investment in happiness. “In the heart of these words is an entire life’s dream. To those of you who find in the promise of these words your promise, I bequeath this creed . . . my dream belongs to you. To read the entire creed, visit https://www.airstream.com/blog/born-4th-july/. See the Airstream: Anthem Creed video at https://vimeo.com/224150105?ref=em-share. To view photos, specifications, ads, and articles about Airstream travel trailers through the years, visit https://www.airstream.com/service/document-archive/. Fun fact: the rivets in Airstream travel trailers are added by hand. Witness this and more during a factory tour. Tours at the Jackson Center, Ohio, facility take place Monday through Friday at 2:00 p.m. Eastern time. To see the plant in full production, opt for a Monday through Thursday tour, as the Friday tour takes place after production ends for the week. Tours are free and begin in the lobby of the service center, located on the north side of State Route 274. Tour participants are asked to arrive 10 to 15 minutes ahead of time. The tour lasts 1.5 to 2 hours. The first part focuses on travel trailer production and the second on touring coaches. Reservations are required for groups of 10 or more. For more information, call (877) 596-6111.